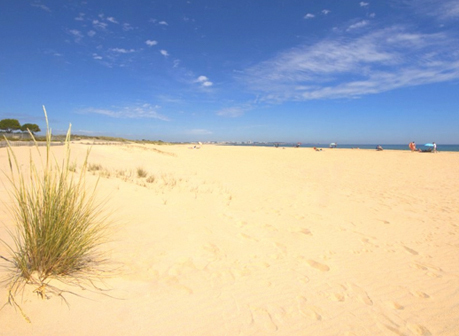 If you prefer long, wide, spacious beaches, to small cove beaches, Meia Praia is the place to head. 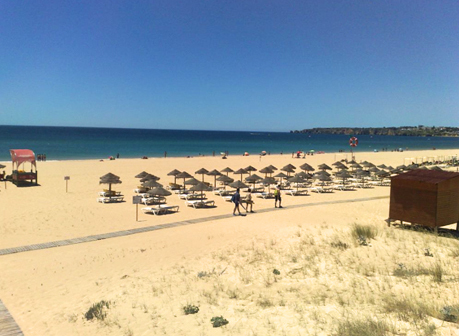 A 3km stretch of white sand curves around the bay to Alvor. The beach has several cafes, beach bars and restaurants along it, so you can sit and enjoy fresh prawns and a glass of green wine while enjoying the view. 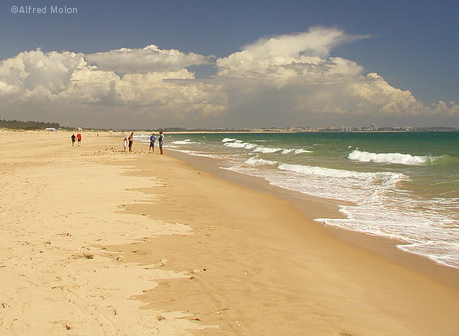 There are sun lounges, umbrellas, volley ball places and watersport services. So if you like a beach with all the frills, here you have it. 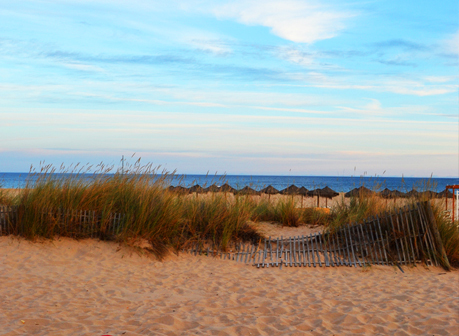 If you are staying in the Marina, then just head toward the ocean and you´ll find it! If you are staying in the town centre, there is a water ferry at the top of the canal during the summer. 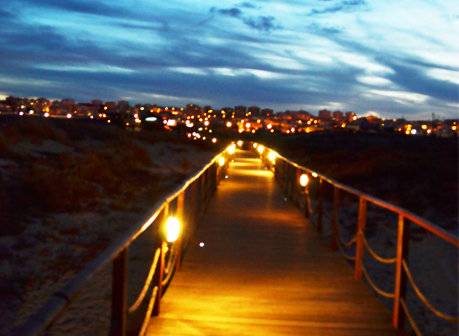 Otherwise, head over the footbridge, pass the train station and head toward the beach.